Divinations Lifecare Pvt. 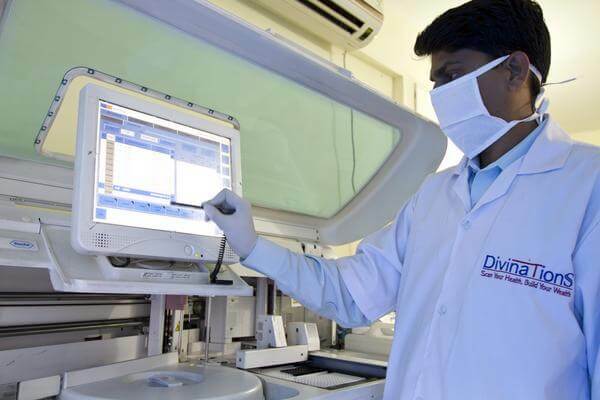 Ltd. focus on efficient systems for smooth and error free processing of 1000 samples that we receive each day. 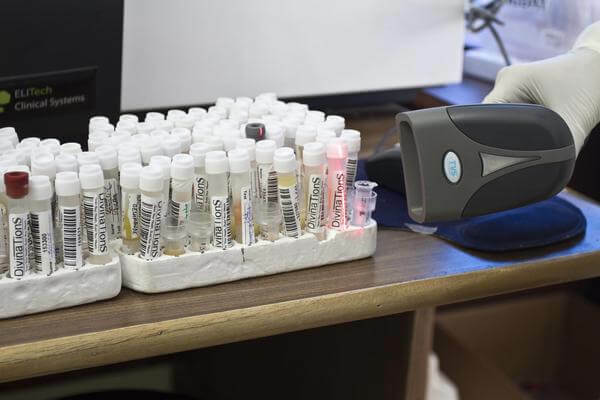 We are the only diagnostic laboratory to have introduced bar-coding system across our 32 collection points statewide. 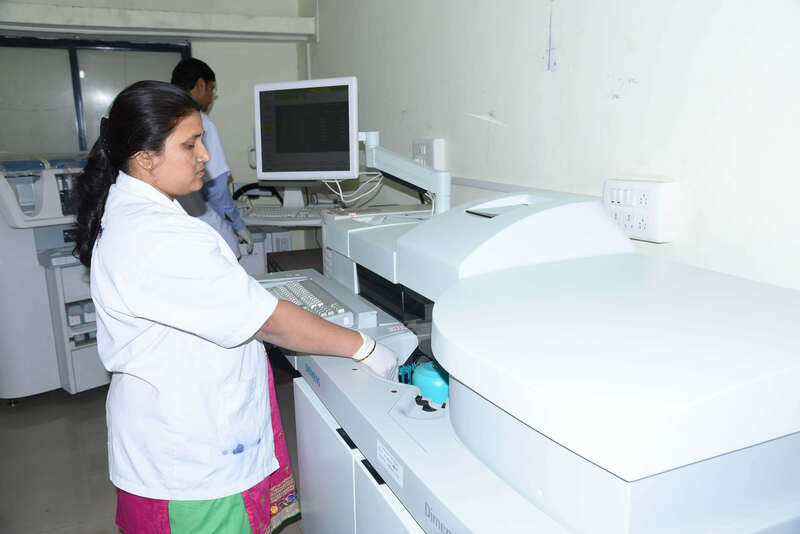 Every sample is identified by the barcode on the vial. 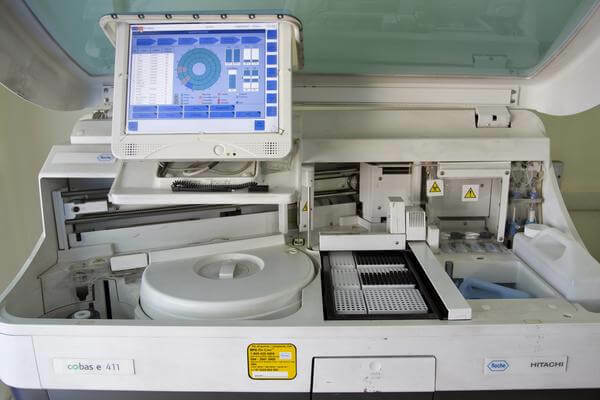 Through this system, the moment the vial is mounted on the automation instrument, it is automatically routed to the correct analyzer for processing and simultaneously output data is synchronized with the software to generate and upload the reports on the website, making the entire process fast and error free. 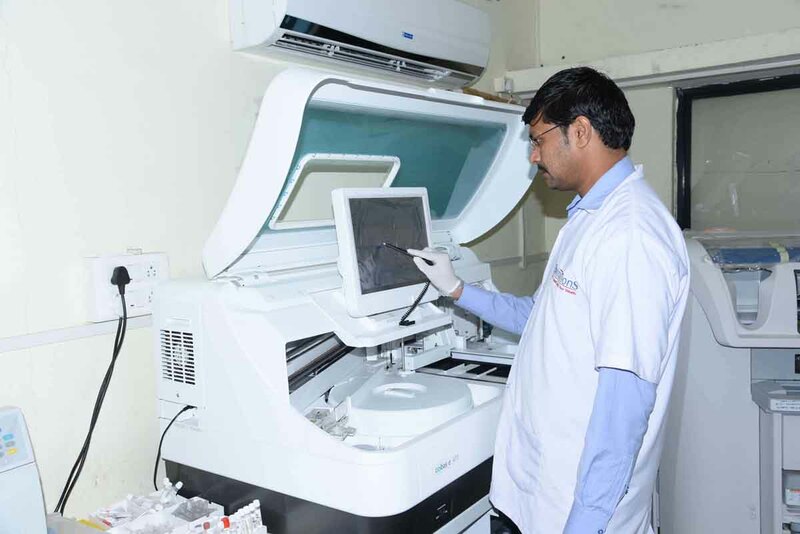 Thus, our systems ensure that accurate tests are done on the correct sample, and accurate results are delivered to the right people within minimum time and affordable cost. 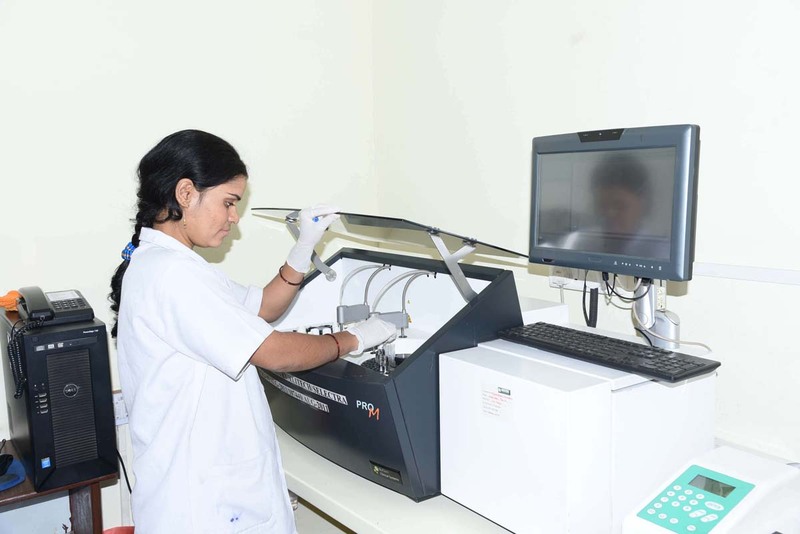 Not only does bar-coding ensure error-free reporting, it also helps in limit the time consumed or lost in pre-analytical procedures and offers a smooth, irritate free and efficient operation. Divinations Lifecare Pvt. Ltd. 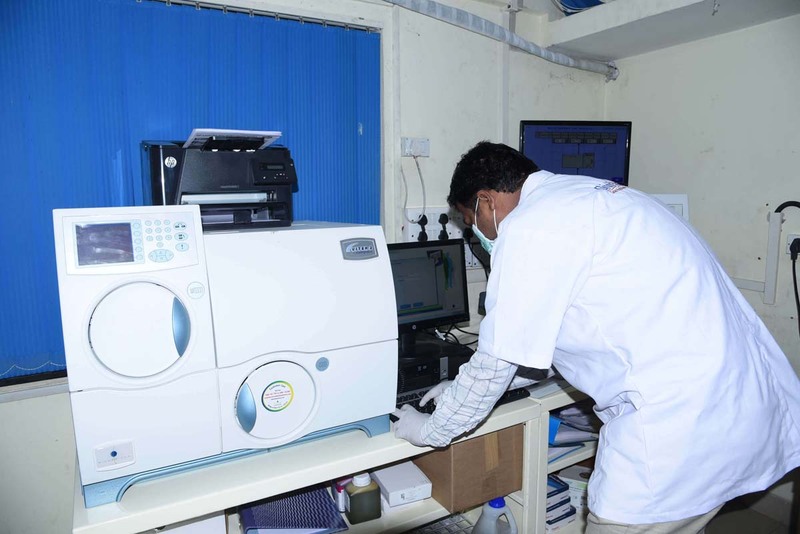 Believe in providing highest quality in every phase of service – right from collection of sample to processing to delivery of reports. 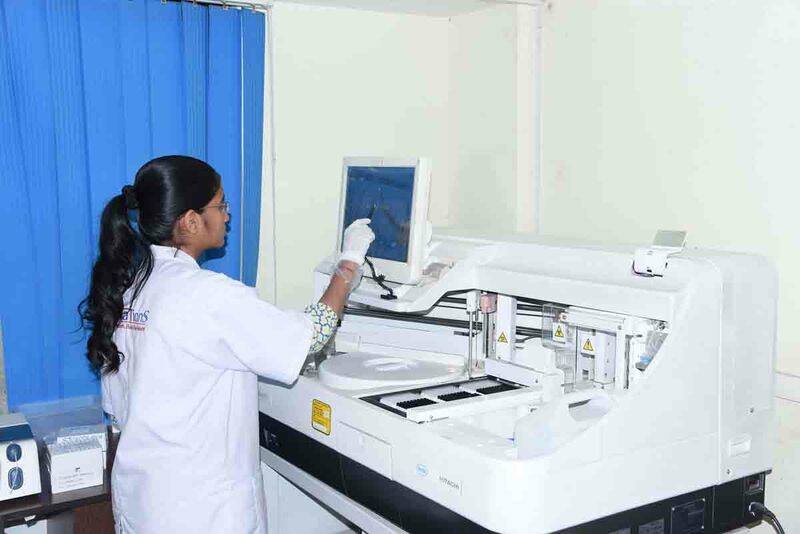 Our systems, processes, man-power and IT ensure the highest level of perfection and timely efficiency in each delivery. 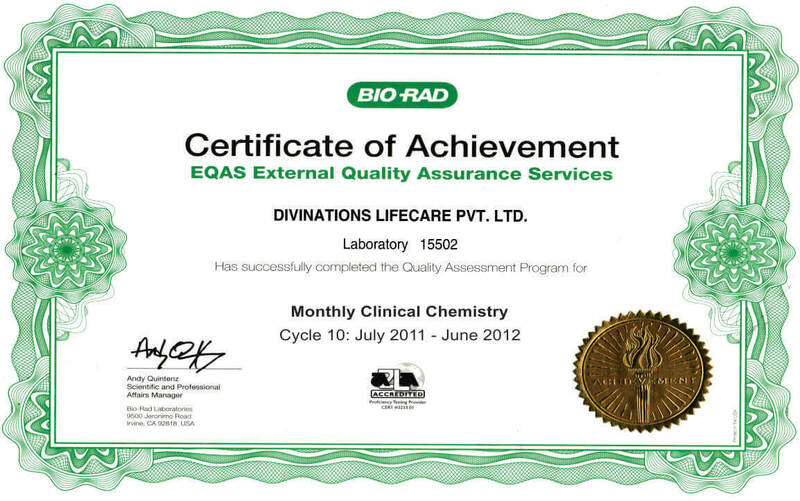 Most excellence local brands, most highly integrated instruments, most efficient and excellent of the technologies, most excellent of the reagents, Superlative of the actions, Preeminent of systems, Superlative of IT, highly available to well trained and excellent focused pathologists, biochemists, microbiologist and technologists, which gives "Best of the Quality". Divinations Lifecare Pvt. 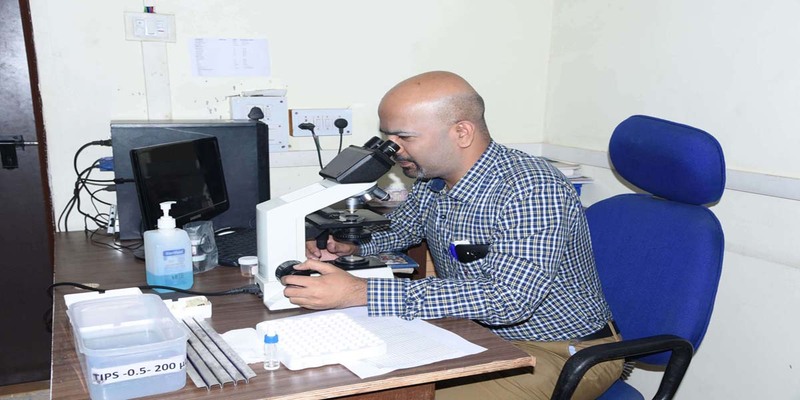 Ltd. is among the few pathology laboratories that meet the standards of quality. Quality Management Systems of the Divinations Lifecare Pvt. 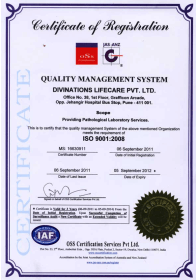 Ltd. has been certified by ISO 9001:2008. 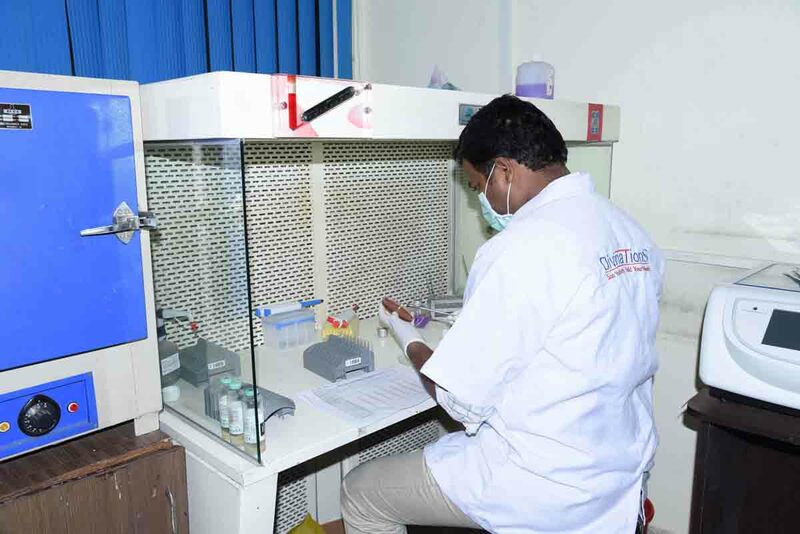 The overall processing laboratory of Divinations Lifecare Pvt. 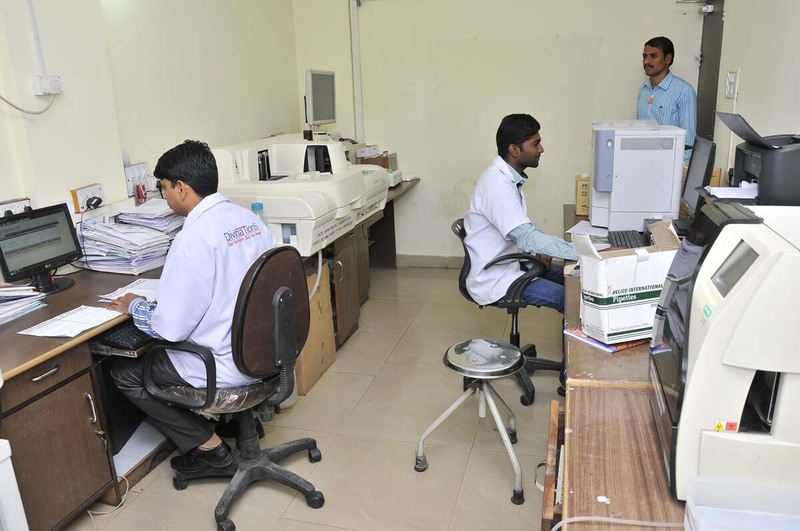 Ltd. is certified by ISO: 9001:2008 certifications for quality management systems in the year 2011. ISO 9001:2008 specifies requirements for a quality management system where Divinations Lifecare Pvt. Ltd. have displayed its ability & consistency to provide product, meets customer and applicable statutory and regulatory requirements, and aims to enhance customer satisfaction through the effective application of the system, including processes for continual improvement of the system and the assurance of conformity to customer and applicable statutory and regulatory requirements.